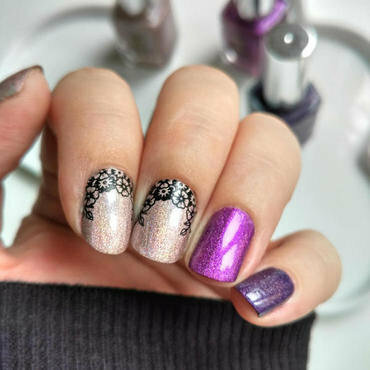 No swatches for Painted Polish Midnight Mischief yet! 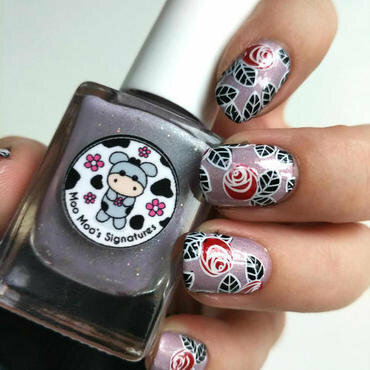 Stamped over with Moyou London Flower Power 16. I double stamped the image from Hehe plate 105. The gold accent on my little finger is an unnamed Lindex nail polish.